Consistent fluid drag performance in extreme environments. 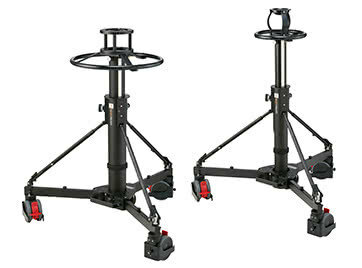 2 selectable positions of counterbalance. 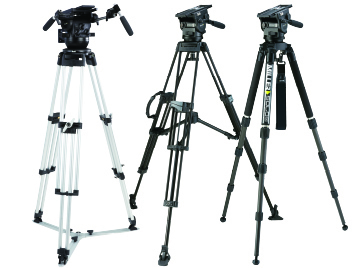 Perfect for camera payloads to 2-5kg &lpar;4.4-11lbs&rpar;. 3-stage rapid leg lock extension. 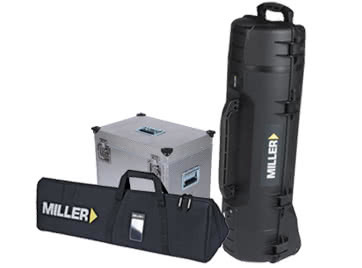 Comes with Air tripod bag. The 3010 Solo 75 3-stage Carbon Fibre AIR system is light weight, quick to set up and delivers outstandingly smooth pans and tilts. 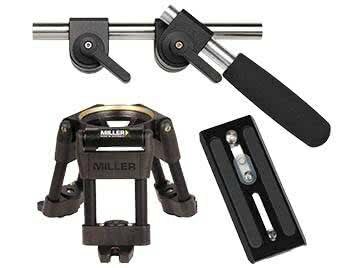 For that fast action set-up the dual position counterbalance plus 60mm camera plate travel enables quick and easy balancing in both standard and heavier camera configurations. Whatever your application the AIR will always impress. The Air fluid head is a professional, robust head used extensively by broadcasters such as the BBC, UK and ABC, Australia for news gathering. The Air head housing is made of durable alloy and comes with a three year full manufactures warranty. 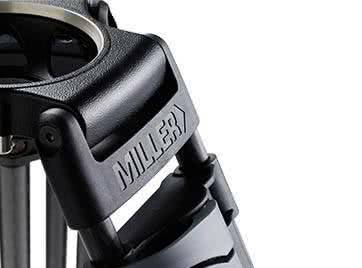 It is designed and constructed using the same techniques quality components and material as the more expensive professional heads in the Miller range. It is made to last and can be easily serviced. 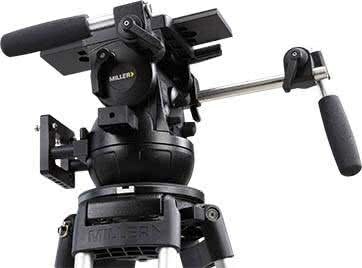 The AIR fluid head is matched with the 3 stage Solo carbon fibre tripod that results in range toppingheight range of 357-2007mm &lpar;14.1-79"&rpar;, rapid action twist locks on independent stages and the versatility to set up system across all terrains.